I have found that classes for dancers under six or seven require the most preparation, the most energy, and the most patience. She is very right. It is a lot of hard work and a teacher that does it well may seem to know magic the rest of us don’t. But really, it’s all about problem solving. Below are strategies for dealing with the short attention spans and behavioral challenges typical of the preschool (3-6 years) age group — and maybe even older! When teaching basic dance skills, repetition is important. Keep skill practice interesting by layering your instruction with imagery. Find occasions to play pretend that will also enhance their understanding. For port de bras exercise, you can ask children to pretend that the wind is blowing their arms out (for demi second), or encourage them to become pancakes and “flip” as they practice three-step turns. Bringing their attention to a special quality within the movement can improve their focus as well. For example, encourage them to “eat up the space” with large movement in leaps, make their whole body sharp like a knife during marches, or point out the level changes in jumps/sauté and have them try to make their highest level higher each time. A common mistake in teaching classes with young children is to spend too much time on a single activity. For students under six, five minutes on any one thing is usually the maximum. Generally, I try not to spend longer than 10 or 15 minutes in any one formation or on any one portion of the class (in a circle, across the floor, standing in lines, etc.). Children are easily distracted and their attention wanes quickly. Always plan more activities than you have time to include. If you see that you are “losing them,” do the kids and yourself a favor by wrapping it up and moving on to the next activity. Young kids enrolled in a dance class are there to have fun. It is not yet truly satisfying to “work hard” at something even if they think it will please you. If it doesn’t feel like playing, they’re far more likely to be inattentive. Therefore, it is imperative that your energy level be high throughout the class, that you vary the tone of your voice, and that you aren’t afraid to be a bit goofy or over-the-top. You should be the most interesting thing in the room! Bonus tip on vocal volume: I sometimes like to whisper when students are getting too noisy because it adds an element of surprise and because they have to quiet down to hear me. With older children it is sometimes necessary to limit your demonstration or participation in the actual moving/dancing portions of class. Young children, however, take all of their cues from you. If you are asking them to pretend they are in a dark forest as they creep around the room, then you must be in that forest with them at least part of the time. If you want them to perform with 100 percent of their energy, then you have to give 150 percent. Modeling behavior is also important for showing children how to behave. Ask the students what is the proper way to sit or stand while waiting on their spot or number, then show them, and then have them practice it with you. The freedom to choose is empowering, particularly for children who are learning to become independent in their thoughts and decisions. Try to include a chance for your dancers to make a choice at least once in each lesson. However, be careful about offering unlimited possibilities. Children do best when they have an “either/or” alternative. This can be as simple as occasionally allowing children to choose if they’d like a blue spot or a red spot to stand upon (just make sure when offering these types of choices, you have enough of each so that no child gets “stuck” with something). Every so often allow the class to vote for doing échappé or balancé for this lesson, practicing the other next week. You can also offer opportunities for children to make decisions in their movement. For instance they may choose between dancing sharply or smoothly (quickly/slowly, happily/sadly) around the room. They may choose to make a round shape or an angled shape (balanced/off-balanced, big/small) when they finish their exercise across the floor. In fact, this ability to choose is what makes creative dance a powerful introduction to movement and dance for children (and, in fact, all people). A chronically misbehaving child can be like a little thorn in your side. If you’re familiar with the advice to keep your enemies closer than your friends, this tip is similar. Instead of constantly reprimanding the child, enlist his/her help in some way. Ask her to be your helper when handing out props, or recruit him to make the check marks in the attendance roster. Sometimes your faith in the student as you offer them this responsibility is all the incentive they need to behave better. If you can identify the portions of class which are most difficult for this student (during recital practice, across the floor, etc. ), these may be your best opportunities for recruitment. Children are a lot like elephants – they never forget! Therefore, I’ve found it best not to make too many promises that I can’t (or won’t remember) to keep. When there is turmoil over who gets to be line leader, it may seem a grand solution to promise a child that “next week” they’ll be the leader. The problem is that you’ll rarely remember that appeasing promise. Instead, the victim of your faulty memory will remind you after you’ve already broken your promise and then more promises will need to be made. Some teachers use a detailed chart or system for choosing line leaders. My solution may not be perfect but I typically choose (at will) a line leader during the warm-up circle. When the decision is made long before the moment of actual leading, it seems to lessen the disappointment of not being chosen. Children respond well to positive feedback. Continually be on the look out for things that are being done well. This gives the class a chance to model the appropriate behavior. If the majority of the class is messing around, look for that one child who is doing SOMETHING (anything) right and single them out rather than reprimanding the whole class. You’ll definitely get more mileage out of saying something positive (“beautiful arms, Suzie” “that’s a high jump, Becca!”) than overstating negatives. Try to be specific. “Good job” doesn’t have much power all on its own so really keep your eyes open for specific things that are being done properly. Interestingly, you may need to hone your own skills in this area because it is often better to ignore bad or distracting behavior (if no one is getting hurt) than to draw attention to it. Negative words like “No,” “Stop,” and “Don’t” should be used sparingly — usually only when there is risk of danger or injury. For some children, negative attention is preferable to no attention at all, in other words, they will look for ways of getting your attention if you don’t first give it in a positive manner. For instance, let’s say no one is pointing their toes. Instead of saying “Point your toes!” say “Thank you for pointing your toes!” or “I see beautiful, pointed toes!” and you may be surprised that suddenly the children all point their toes (even if they wouldn’t have if you had specifically asked or told them to). Use the same method for all kinds of behaviors, including waiting quietly, keeping hands to oneself, quickly changing shoes, etc. This tip transformed my teaching. The concept may seem obvious, or perhaps just a silly matter of semantics, but it is powerful. I can’t take credit for the “Say and see” wording or concept, however. It comes from one of my favorite resources, Creative Dance for All Ages by Anne Green Gilbert. In fact, many of her ideas have worked their way into my teaching and are likely to show up elsewhere within this list. Even if you work on the same skills each week, you can still give the kids creative objective that will increase their anticipation toward participating, As in layering, these “assignments” are easy to change from week to week. For instance, if you practice gallops across the floor, tell the class they must gallop a special dessert to their friend on the other side. When taking turns, ask each child what kind of dessert they are offering. This method gives the children something to look forward to and think about as they wait for their turn. When children begin to get bored, are tired of waiting, or are seeking attention, they often complain, ask to do something else (like visit the restroom or get water), or fidget. During moments in which it is important to finish an exercise or task, refocusing your students’ attention, or distracting them is key. Waiting for a turn can be difficult, sometimes just having something to hold while standing by can be calming for a child who is forced to sit tight. When asking large classes to take turns crossing the floor, I have offered the next children in line something sensory like scarves (or a stuffed animal) to hold until it is their turn, at which time they pass the object to the person behind them who is waiting. In a class which has an especially hard time waiting, each child could keep a scarf and you could suggest different ways of using it as they practice a skill. It can be hard even for experienced teachers to phrase things in the clearest way possible, make up creative suggestions or distractions on the spot, or switch gears when needed. Therefore, think about the skills you practice in class and come up with a few images for each that you can whip out at appropriate moments. Try to anticipate problems or situations that may arise and rehearse your manner of giving instructions just as you would rehearse the combination that you are giving the class. Always have a few “crowd pleasers” handy to gather scattered attentions or revive a spiritless mood. Keep these things in your “back pocket” so that they are there when you need them. Improving skills for working with preschool children is not a magic trick. It comes down to thoughtful practice and assessment of what works and what does not. Watching a child enjoy dance and get excited about movement — now that is magical! Whether you are an assistant or a professional, I hope you have found these tips useful in your classes. Tell me what you think of these 12 tips! Other teachers reading the blog will welcome your thoughts, and so will I! Well done article! Thanks so much for all the pointers. I’d like to add that using props really helps spice things up for the kiddos. Last week I bought some $1 rose bouqets from the craft store. The girls have been holding them doing ballet walks across the floor. (We pretended we were in a wedding) And we did a center exercise with plies, tendus and arabesques holding them also. They loved it! I’m always looking to find other inexpensive props. If you know of any – let me know. Great article! My youngest student is 2 and the thing I have found is that many parents and other adults underestimate 2, 3, and 4 year olds. These young ones are very capable of learning basic dance steps, matching the vocabulary with the movement (such as plie, echappe, and arabesque) and performing them on stage. My biggest piece of advice when teaching little ones is to avoid underestimating them…challenge their mind, that will help keep them interested! Thank you for all the other tips! Very much in agreement that children are not to be underestimated. It is a gift to challenge the bodies AND minds of dancers at any age or level, and as you mention often necessary for keeping them interested, engaged, and loving what they are doing. Thanks for stopping by Heather! I thoroughly enjoyed reading these 12 tips for teaching tots… and just in time too. 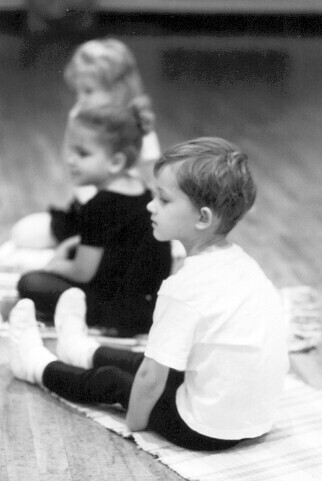 I start teaching dance to preschoolers in two weeks, and I haven’t taught this age in a good couple of years. It was nice to refresh my memory and take away some new ideas for my lesson plan. I especially will be using the the idea of imagery while the kids wait in line…brilliant!! Thanks to you..i enjoyed reading your article,i will definately put them into practicea. Amen Heather! These little ones can do it . . . whatever you ask of them. Two to five is my favorite age group to teach. They are fearless, work hard to learn, and have so much fun doing it:-) They are also too cute. Great tips Nichelle! I utilize a great deal of this during my teaching, but I learned a few more helpful things. Thanks for all you do. 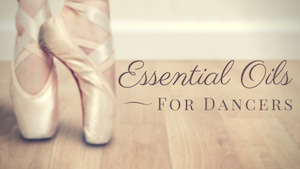 Your site is the best resource I’ve found for dance teachers. Very kind of you to say, Karin. I’m glad you’re enjoying the site! Thank YOU for reading. These are excellent tips! This is my second semester teaching young children and it has definitely been a challenge! These are really helpful and the book tip is really helpful as well. Thanks! I use Pringle cans with a handful of popcorn or dried beans with the lids taped on that we with preshoolers. The shakers can be used to make loud and soft sounds, to make one sound with each strp as we walk, to make different rhythm patterns. For example We sit on floor and do shake, shake pat (the top of lid like drum), alternating vocal pattern of shake shake pat with shuffle step. Then stand and do a shuffle step repeating “shake shake pat and shuffle step. Of course with young ones it some times takes several weeks to put that sequence together. Thanks Vivette! I love homemade dance props and instruments – this is a great suggestion. Thanks so much for adding it and sharing with readers. Great article. My daughter did a lot of these things when she was younger. She is 6 now and has been moved up to the more advanced classes. She is taking 3 hours of ballet and one and half hours of jazz per week. She loves it and her teacher says she is doing well, but I was wondering what your thoughts are on the intensity based on her age. Sorry I am just getting to your question… Every child is different, Heather, so all I can say is to watch and listen to your daughter. You probably know better than anyone what her stress signals are (overtired, complaining, crankiness, distraction or misbehavior…). You’ll need to watch for these warning signs outside of dance and if there’s a problem reevaluate her activity load. 4 1/2 hours is perhaps above average for a 6-yr-old but if she’s not overrun with other activities, and she seems to be holding up well then it’s probably alright (assuming the health of her young body is guarded carefully by her teachers). I hope that helps. Trust your gut, Heather! Thank you so much for this article! I’ve been searching for something this basic and informative for awhile. I’ve been teaching 2-4 year olds and 4-6 since September, and as a first time teacher, I’ve been running out of ideas! So thank you for all this info! It is exactly what I needed! Loved the tips, any on inspiring teenagers who do once a week ballet ? Or do a search (top right) for goals or “setting goals” perhaps. There are probably lots of little places I and others have talked about working with older students. Also, if you haven’t already, try subscribing – I make little trips back into the archives via the email newsletter. Thanks for reading! Glad you enjoyed the tips! Great article! I’m only 16 and I assist a preschool class. The main teacher will be out of state for the next class and it’s bring a friend week! This article will definitely help me in every way! Glad you found them helpful, Alexa! You’ve been given a big task, I’d suggest having lots of possible activities planned and be flexible and ready to switch gears if necessary… and just stay upbeat and smiling 🙂 Some partner activities may work well in this particular situation. Best of luck to you! Yes everything worked! Thank u it went very well! These tips are brilliant!! I teach young children gymnastics which is a huge challenge! There is one child in particular who has downs syndrome and verbal dysphraxia and can be extremely challenging at times, any tips on how to encourage him when he doesnt want to do things and pushes me away? Hi Anna! So glad you liked the post. I’m not experienced or qualified enough to give advice regarding the special needs of this child. What I’d encourage you to do, however, is to schedule some extra time with the child’s parents. Be prepared with some specific questions. They may be able to give you some ideas on what works or has worked in other situations with their child. Don’t be afraid to ask what you should do or try when the child exhibits certain behaviors – is it better to back off? turn it into a game? speak with a certain tone of voice? Also, I’d bet there are some great resources covering these disorders online for teachers and caregivers. The more you can learn about the child and his/her challenges, the better. Beyond this all I can suggest is… don’t take the child’s rejections personally, practice lots of patience, and maintain a positive, loving attitude. I am currently a student teacher (hopefully soon to become a qualified teacher), but i don’t have much experience with little ones so this is incredibly helpful – i can’t wait to try the tips out! Happy to help, Natalie. Best of luck and let us know how it goes! Thanks so much for these tips. I am yet to use props in my nursery classes and am now looking forward to giving it a go. One problem that I have repeatedly encountered is that the kids that I am teaching are being distracted constantly. The space that we use to dance in is very open and there are other kids around doing other things, as well as staff and parents walking through every so often. This is problematic as I can not change the space in which we dance. I find it very difficult to keep their focus on me. Any tips? Hello, I teach ballet to 3-7 year olds and I would love to get any tips on finding the right music for my classes. Thanks so much for your help in advance, Emma. My two favorite teaching tools for the pre-school students is the “Magical Kingdom of Dance” encyclopedia and the “Alphamat”; both created by my Mom who taught dance for 67 years! It is the absolutely most ingenious method that I have ever seen. The dance mats provide each student with their own personal space surrounded by characters that the students love meeting. Each character is named after a correlating French term so that it is easy to associate the dance step with the French term. The three year old CAN learn terminology and have a great time while doing so. All of the above tips are a perfect match to this method. The classroom book provides hours and hours of teaching materials. If you are interested in checking our site out please go to magicalkingdomofdance.com or find us on facebook. Twinkletoes would love to make your pre-school classes even more fun. This is helping me with my class. Thank you! I did not remember I commented a few weeks ago. They were so useful I came back to refer to them twice. Thank you SO much for this article. I had a tough class today (ages 2-3). I didn’t feel like I was doing anything different, but I just noticed that I might be saying “no” too much and not rewarding the ones that are paying attention enough. Thank you so much for reminding me. It’s so easy to get in a rut. Thank you for reading, Brittany! It IS so easy to keep responding the same way. I’ve experienced it as a teacher and as a parent, and I need the reminders myself sometimes. I’m glad you found this useful! do a dance step instead such as hop, chasse, skip, etc. I have just come across this article and have found it wonderful material. I have been teaching children ballet for 12 years in South America, but now I am faced with a new challenge: WRITING ABOUT IT! I am not very confident. How to put in to words all those things we do in class?? I have been given the job to create a book in spanish on dance pedagogy for children. I would like to quote you on a few of the tips you have given if that is ok. Thankyou for such a practicle and well described list of tips. Yes, feel free to quote material from this article. Would you please let me know when the book is ready and/or published? I’d love a copy, if possible. Feel free to contact me directly. Thank you. Thank you for the reminders! It is so important to offer these little ones the very best in education but my training is as a dancer, not in early childhood education. I’m grateful for all the tips I can get!